•	CTS has full-time employees,and with a pool of 15000 trained, highly qualified technical/human resource at our disposal for test administration and invigilation to meet the growing challenges of testing and assessment in the country. •	CTS has its head office (Secretariat) in Islamabad and provincial offices in Karachi, Lahore, Quetta, AJK, Gilgit Baltistan and Peshawar, which are all responsible for carrying out an entire business independently. 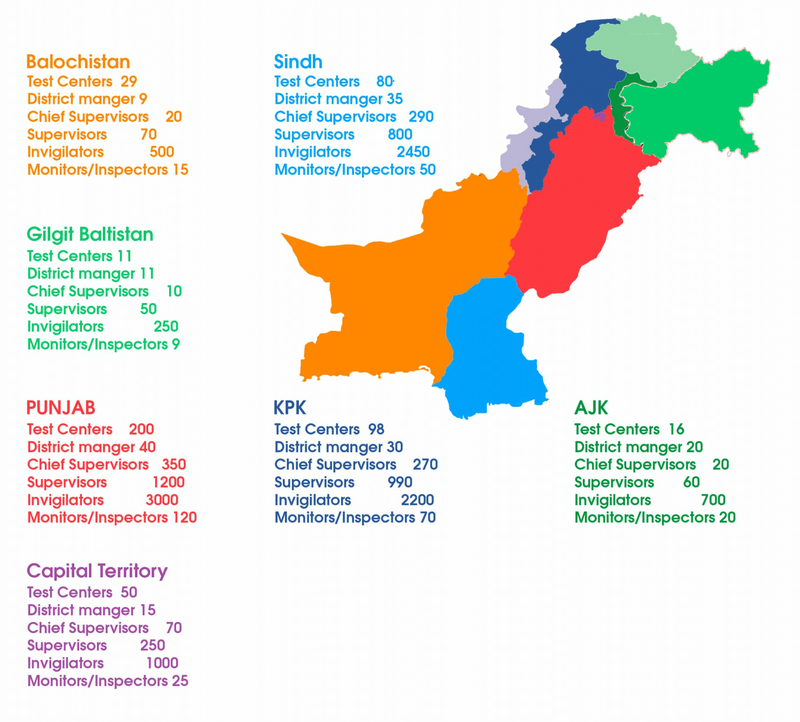 •	CTS is capable of conducting a paper-based test for 800,000 candidates in 80 metropolitans and computer-based (online) tests in 50 cities in Pakistan simultaneously. •	CTS is capable of processing about 100,000 application forms per day. •	More than 500 institutions are on the CTS panel as test centers.